As the resin is gel-like structure, the ion exchange process with the aqueous solution can be explained by the double- e lectrical layer theory. The double- electrical layer theory suggests that the exchangeable ions on the resin molecules are formed by the ionization of the active groups on the resin in water. As a result, under the action of concentrated diffusion and electrostatic attraction, two double-layer structures are formed. 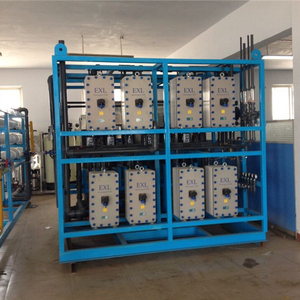 5, Anti-penetration desalinating rate&ge;99% ,whole machine desalination rate&ge;98%. 4. 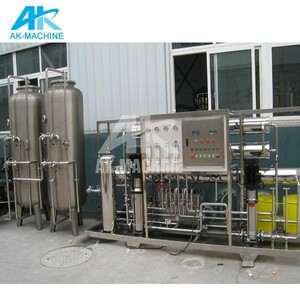 Reverse osmosis desalting rate &ge;99%, machine desalting rate &ge;97%. * Engineers available to service machinery overseas. When the raw water passing ion-exchange pole, the kation nd anion(HCO3-plasma ion)in water will exchange with H+ of positive resin and OH- of negative resin to get salt taking-off. 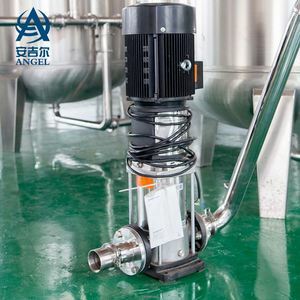 The system is working with the principle of filling kation and anion resin in exchanging pole, using ion-exchange resin to exchange with calcium, magnesium and natrium ions to get high pure water. 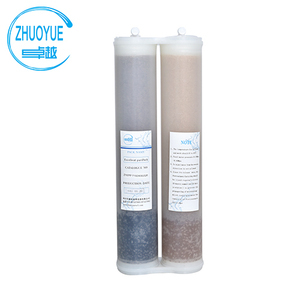 Ion exchange mixbed, resin working in eletrolyte solution ,can remove all kinds of catin and anion ions,it's an irreplaceable way to make ultra pure water. 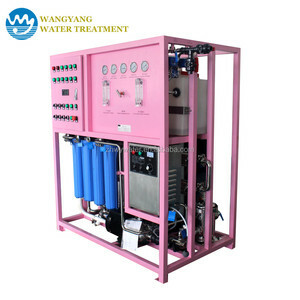 Dongguan Chaojing Water Treatment Technology Co., Ltd. If using a set of reverse osmosis equipoment for preliminary desalting before the EDI,and the EDI desalting can prodice ultrapure water with a resistivity up to 15M cm. 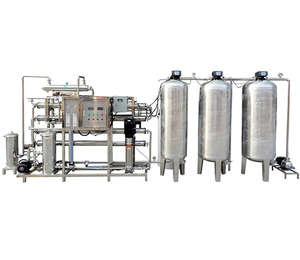 Applications:Ultra-pure water for pharmaceutical factory,eletronics,semiconductor,precision machinery industry,biotechnology,chemical reagents,seawater or brackish water desalination,as well as other industries. 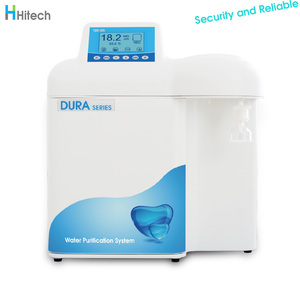 Our company do has many kinds of water purified appliances,if any of them draw your interested,please contact me,that would be highly appreciated. 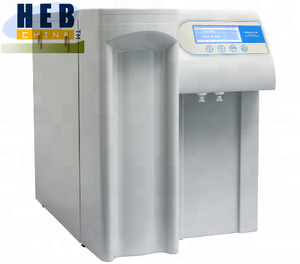 Alibaba.com offers 1,000 ultrapure water system products. About 84% of these are water treatment, 3% are water filters. A wide variety of ultrapure water system options are available to you, such as free samples. 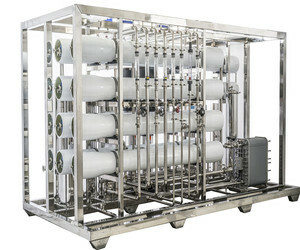 There are 923 ultrapure water system suppliers, mainly located in Asia. The top supplying countries are China (Mainland), Singapore, and Taiwan, which supply 97%, 1%, and 1% of ultrapure water system respectively. 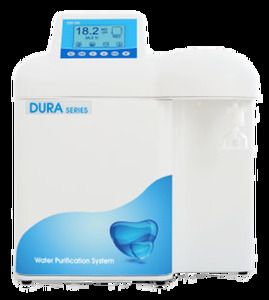 Ultrapure water system products are most popular in Southeast Asia, South America, and Domestic Market. You can ensure product safety by selecting from certified suppliers, including 539 with ISO9001, 342 with ISO14001, and 244 with ISO13485 certification.